Mortada Mohamed Ahmed has not eaten since 9th Nov. Today (14/12/11) is the 35th day of his hunger strike. Mortada, aged 36, is currently in the medical wing at Colnbrook Detention Centre beside Heathrow. He has just been issued with removal directions by the UKBA for Friday 16th December at 09:30 on Gulf Air via Bahrain to Sudan. It is illegal to attempt to make a person board a flight after day 30 of a hunger strike. He has also been medically assessed and declared unfit to fly. Mortada, who, prior to being detained, was living in Leeds, has explained that he would rather die here in the UK than be returned to the Sudan from which he fled in 2005 during the Port Sudan Massacre. He began his hunger strike after he was detained and told by the Home Office that he was going to be sent back to Sudan. “I started the hunger strike because I do not have any choice” he says. Mortada’s one remaining brother and sister are in Saudi Arabia; the rest of his family died in the Sudan. On Monday (12/12/11), RAPAR faxed an authorisation form to Colnbrook Detention Centre for Mortada to sign and return. This form would give RAPAR permission to share information about him. That authorisation form still has not been given to Mortada but, within 24 hours of RAPAR sending the fax, the UKBA served Mortada with removal directions. The removal direction is set for this Friday, 16th December at 09:30 on Gulf Air via Bahrain to Sudan. following on from this UK intervention in December 2011 letter by Baroness Cox. 12/01/12 UPDATE Mortada is back in Leeds, having been bailed out of detention. His lawyers are continuing to mount the legal framework that can secure his safety in the UK while Mortada recovers from his hunger strike ordeal. You can see a video of the vigil in Manchester that contributed towards his release here. The dehumanising treatment and continuing threat of removal facing Mortada, aged 36, from Eastern Sudan is being highlighted by the Beja Congress, the opposition party of East Sudan, alongside RAPAR tomorrow. Mortada Mohamed Ahmed, from Eastern Sudan, who had not eaten from 9th November until last Friday was taken to Hillingdon Hospital and then handcuffed to his bed. Isaac Shaffer from Wilson Solicitors LLP, his lawyer, said "Our client was transferred from Immigration detention and has been receiving emergency medical treatment in hospital for several days now. His admission was preceded by a hunger strike of over 30 days - a protest against his treatment by the Home Office, and in particular against his prolonged immigration detention. However, despite being hospitalized due to his fragile medical condition (and the acute concern of independent medical experts - who also note their finding that he is a victim of torture), we have now been informed that he is currently being restrained to his hospital bed via metal handcuffs. We strongly consider that there is nothing to indicate that this continued and egregious infringement upon our client’s fundamental right to liberty is appropriate." Having already won an injunction preventing removal, the legal process to ensure he can stay in the UK continues. His lawyer stated: "We remain deeply concerned about the health and well-being of our client. We strongly hope that now, following the High Court's grant of an injunction against removal, the Home Office will urgently reconsider whether his continued and prolonged detention remains lawful and indeed reasonable in the circumstances." 20/12/11 - Mortada was taken to hospital last Friday - on day 36 of his hunger strike. 16/12/11 - 14:15 - Mortada is asking to be moved to a hospital... in the meantime, click here to read a short report and see a film by Tarik Abubakr about the Massacre of Port Sudan from which Mortada fled in 2005. MORTADA WILL NOT FLY TOMORROW!... NOW HE MUST BE MOVED TO A HOSPITAL IMMEDIATELY. An injunction to stop Mortada being boarded on the plane in the morning has been granted. His case is now being reported in Sudanese press. To see Arabic press report, click here. English translation will follow. A High Court injunction is being sought to stop the forcible removal from the UK tomorrow morning (Friday, Dec 16th) of a victim of torture who has been on hunger strike for 35 days and has been medically assessed as being unfit to fly. The Manchester-based Human Rights organisation RAPAR has condemned the UK Border Agency's decision to enforce the removal of Mortada Mohamed Ahmed from the UK on a Gulf Air flight to Sudan via Bahrain. RAPAR is considering making a formal complaint to the General Medical Council after Mortada said the medical supervisor and doctor at Colnbrook refused to intervene unless he stopped his hunger strike. RAPAR and Medical Justice have been working with Mortada, who is from Eastern Sudan and has been on hunger strike since 9th November. Medical Justice says an independent doctor assessed him as unfit to fly or to be detained and has said he should be in hospital. The doctor also confirmed that Mortada has old scars on his body which support his claims of a history of torture through beatings by pipe cables and cigarette burns. Mortada, aged 36, is currently in the medical wing at Colnbrook Detention Centre near Heathrow Airport. He says the medical supervisor and doctor at Colnbrook have not offered him any help apart from advising that he should take food. Mortada says they told him “if I accept food, they will help me”. The independent doctor who assessed Mortada says that he attempted suicide in early November and has also experienced ongoing chest pains. Authorities at Colnbrook were advised that Mortada should be seen by a psychiatrist but this did not happen. Currently, an application for an injunction to stop Mortada being boarded onto the plane tomorrow morning is being prepared for the High Court. This action is being taken because the Home Office failed to meet the Judicial Review deadline of 10.30 this am. 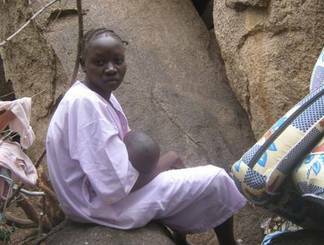 14/12/11 - See report from Waging Peace - on Eastern Sudan and the Beja people. 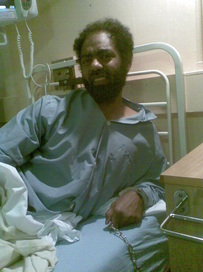 14/12/11 - Press release - 'UKBA TRIES TO REMOVE HUNGER STRIKER WHO HAS BEEN MEDICALLY ASSESSED AS UNFIT TO FLY'. Download the full press release here or see it online here.